Download "LIFETM. 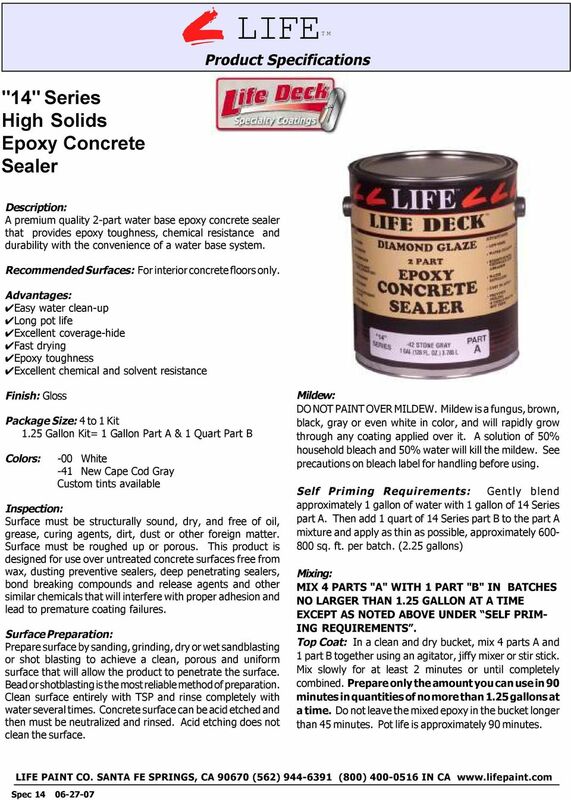 "14" Series High Solids Epoxy Concrete Sealer. Product Specifications"
Cracks, chips and broken or flaking areas in concrete are not only unsightly, they can lead to further deterioration of the surface. The result is a costly replacement project as opposed to a simple repair. 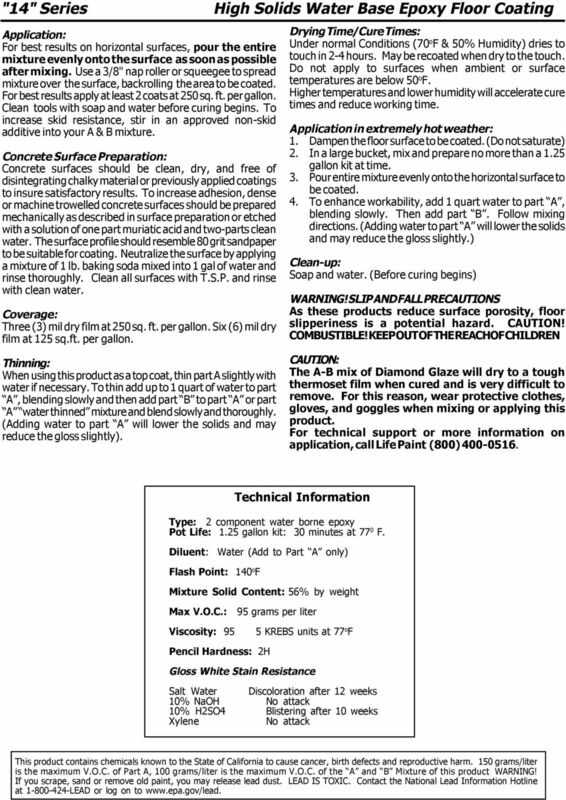 MILESTONE APPLICATION INSTRUCTIONS FOR INTERIOR VERTICAL SURFACES Note: Label and Brochure Instructions are abbreviated. 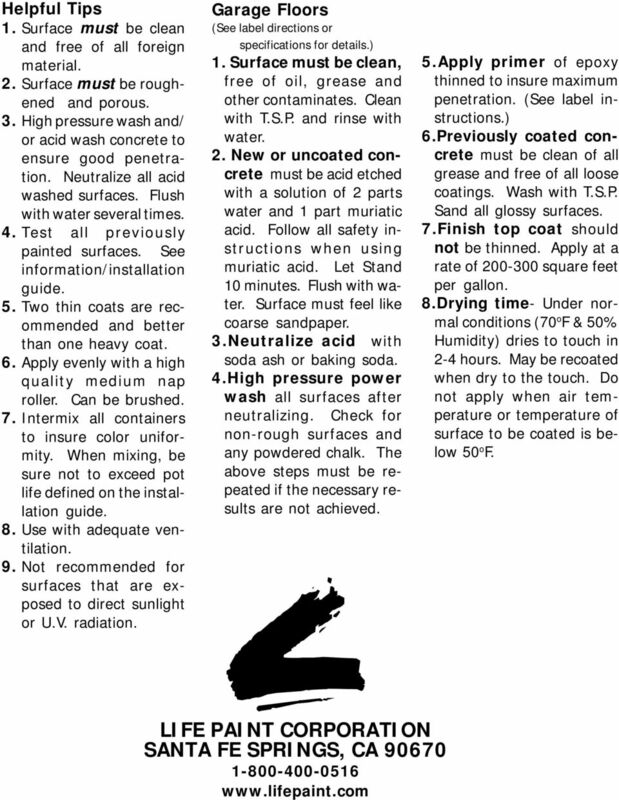 Read and follow all directions in this instruction booklet before using this product. RockSolid Deck Restoration Application Read all instructions carefully before starting installation. For further details, application techniques and possible installation updates see our website at www.rocksolidfloors.com/support. 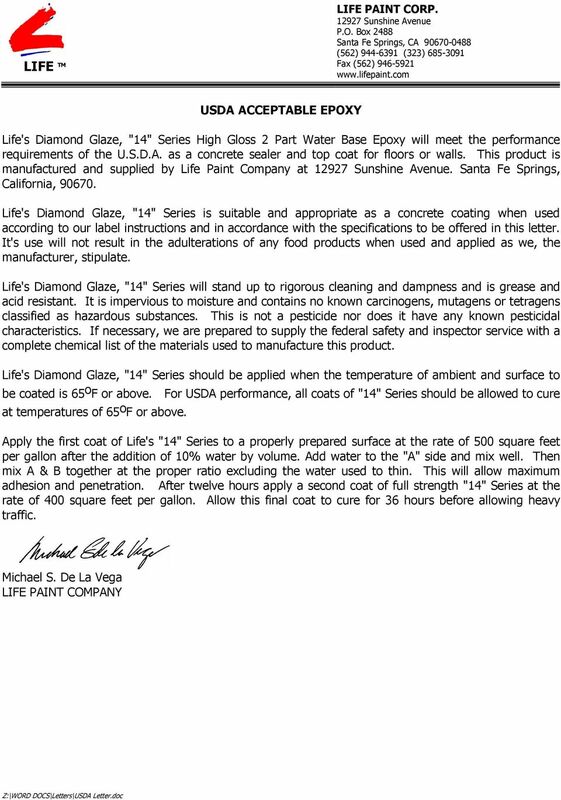 See photo below showing this product being applied to a badly corroded floor. 1. Concrete. 2. Steel. 3. Galvanized metal. 4. Aluminum (not anodized or otherwise coated). 5. Wood. 6. Gypsum board. Stucco Concrete Block Constructing foundations and walls with concrete block is an easier and usually less expensive alternative than poured concrete or stone construction, but the result is not very attractive. Installation manual for Authentic Stone Veneer Please read carefully before installing: Install all Authentic Stone Veneer in accordance with ACI 530.1/ASCE 6/TMS 602 Specifications for Masonry Structures. We are about directly helping people in need. DECK WASH No. 61 Ideal for the Maintenance Cleaning of Exterior Wood, Vinyl or Composite Decks, Porches, Fences & Siding. AVAILABLE IN: Quart Only No. 61 Clear No. 61 32 oz. NOT TINTABLE 500-600 sq. ft.
SPEC-DECK Proven! 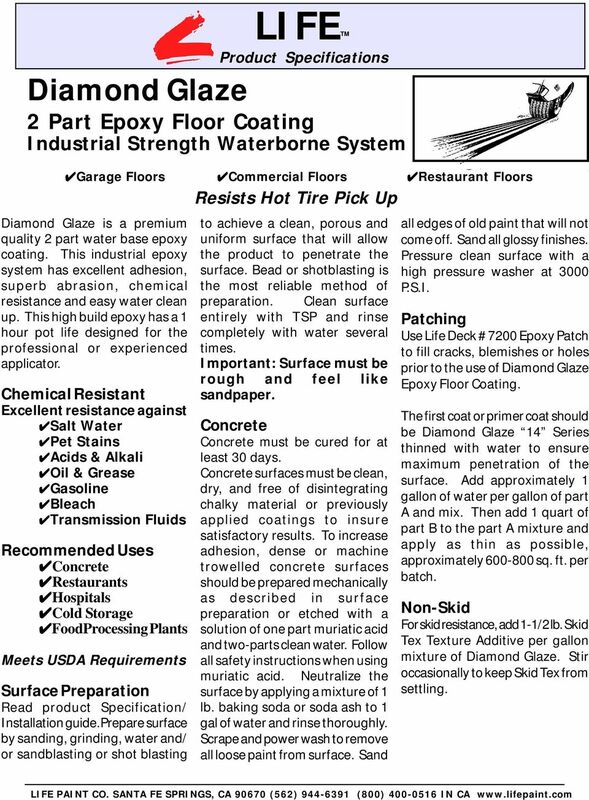 Concrete Resurfacing System Spec-Deck is an attractive and proven method for resurfacing or re-finishing old concrete both interior or exterior areas into exciting new-looking surfaces.